GAPCCCAR2420 Carrier Infinity Air Filter - $[OurPrice]! 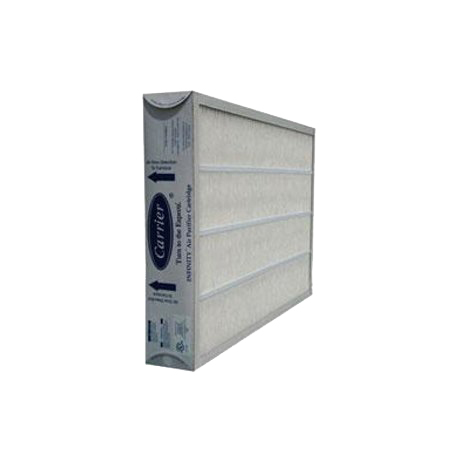 The genuine OEM Carrier GAPCCCAR2420 MERV 15 20x24x5 / 20x24x3.5 Pleated Air Filter is designed for use in GAPABXCC2420 Infinity Air Purifier Cabinet and other filter cabinets. GAPCCCAR2420 is a replacement for furnace filter model GAPBBCAR2420 and other 24x20x5 air purifiers. Nominal Size: 20" x 24" x 5"
Genuine Bryant / Carrier GAPBBCAR2420 / GAPCCCAR2420 Air Filter. Carrier GAPCCCAR2420 OEM Genuine Infinity Air Filter. Carrier GAPCCCAR2420 20” x 24” x 5” MERV 15 Air Filter. Carrier GAPCCCAR2420 MERV 15 Furnace Air Cleaner. Carrier Infinity Air Purifier Cartridge GAPCCCAR2420. 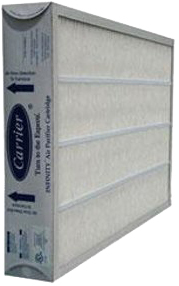 Carrier GAPCCCAR2420 24" X 20" X 5" MERV 15 Infinity Air Purifier Filter.